Aval is one my favourite. I use it in numerous ways. It is lighter than rice and easy to cook. 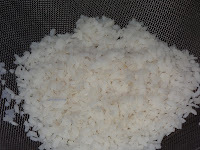 Takes only fraction of what rice takes. My mum used to do this easy snack if she couldn't find anything else for after school snack.. 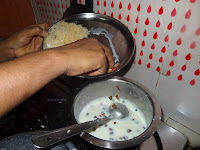 It is so easy and quick fix for hungry kids..
Heat 1/2 teaspoon ghee and fry the mixed nuts till golden brown. Add another 1/2 teaspoon of ghee roast coconut until slightly browned and keep aside. Soak aval in water for 5-7mins or until the aval becomes soft. Drain water and keep aside. Heat milk in a non stick/heavy bottomed pan and once start boiling reduce the flame and let it boil for another 5 mins. 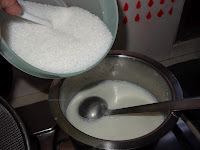 Add sugar and mix it well till sugar is dissolved. 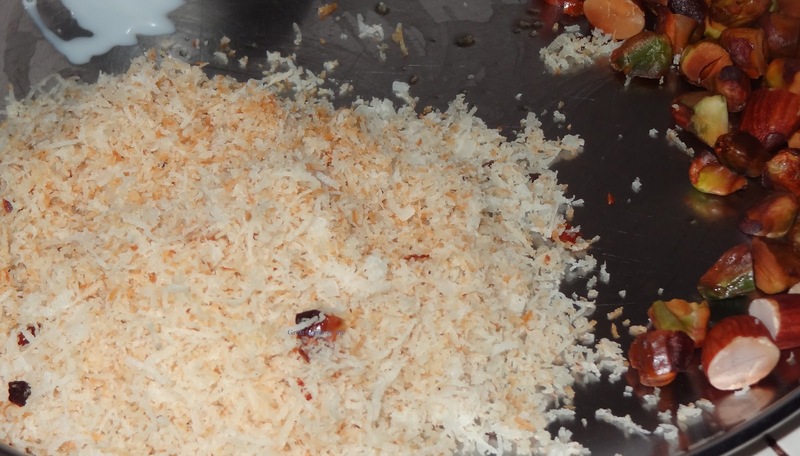 Add coconut and mixed nuts, mix well. 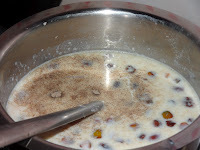 Let it boil for another 30 sec.Then add aval, cardamom powder and simmer for another 5mins. Switch off. Serve hot or cold. 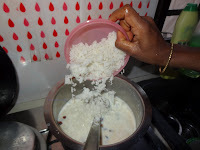 If it gets thickened while resting, so add in more milk or hot water to while serving or as per your preference. Comforting and delicious payasam. 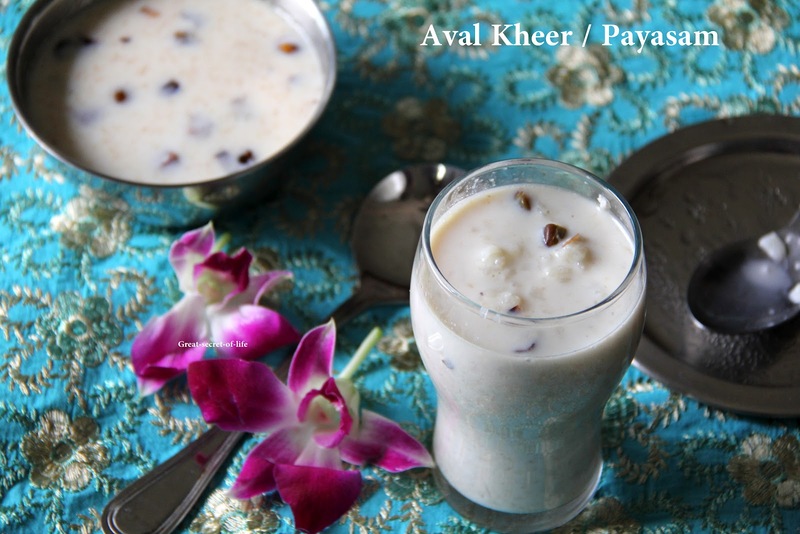 Love the addition of coconut..
Aval kheer looks yumm and well explained. hope u r doing fine. 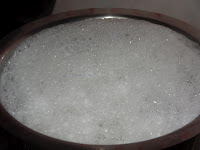 how is the preparation for Diwali going on? Thank you very much admin,your way of posting the article is awesome any body can understand it easily,I have gone through your kitchen artistry it was very very very good,keep going veenajii.. 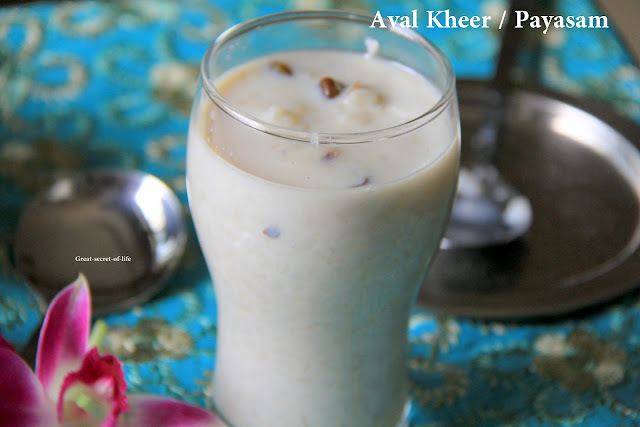 I am yet to try this one..have been in my bookmarked list for a long time:-) Loved the addition of coconut and cardamom..
One of my daughter's favourite kheer, she loved this kheer than the usual sago & vermicelli kheer.